This summer has been all about BBQ's and fun paired with delicious drinks for adults and kids. A favorite of mine and some friends are delicious margaritias. Making them at home isn't always fun when it comes down to squeezing all that citrus. 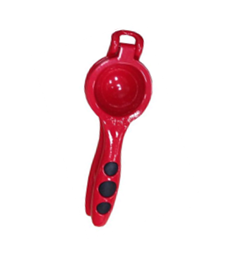 IMUSA Global Kitchen Red Lemon Squeezer has saved my hands while making drinks for friends. The hand press has an ergonomic design with silicone inserts for comfort. 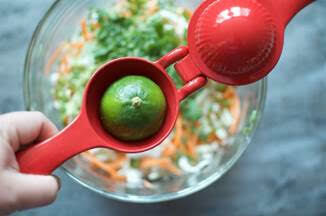 This baby juices and squeezes lemons and limes without seeds falling into your drinks and makes minimal mess. Talk about a lifesaver while making drinks or anything that calls for squeezed citrus.